The shell is fascinating. 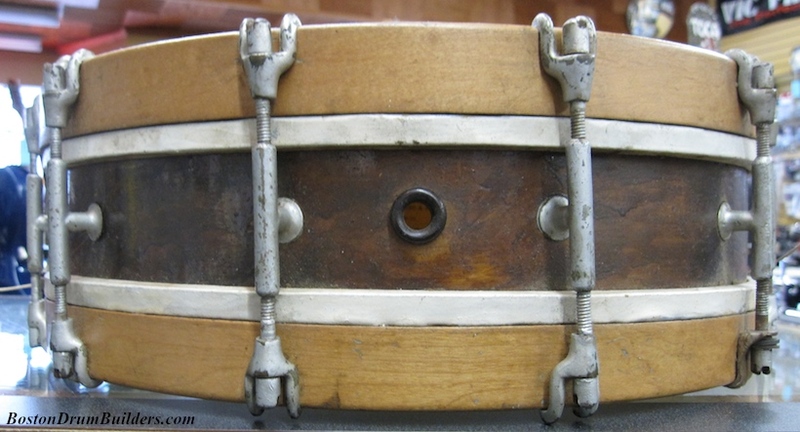 It's basically a two ply shell with three 3-ply reinforcing rings so that at the bearing edges it is five plys thick which was unheard of in a high end drum at that time, circa 1920. 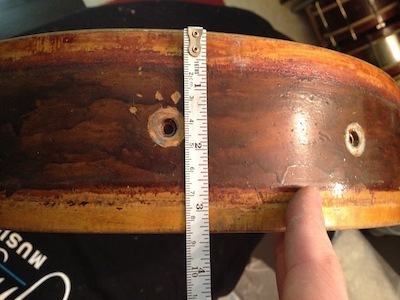 The shell was originally a natural maple color which can clearly be seen at the edges of the shell with the heads off. Hopefully I can get this yucky brown paint/stain/finish off and preserve what's left of the original finish. 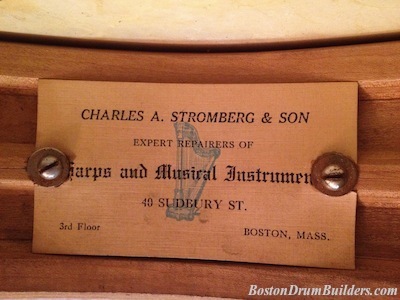 The label inside is very well preserved and lists the address of 40 Sudbury Street. 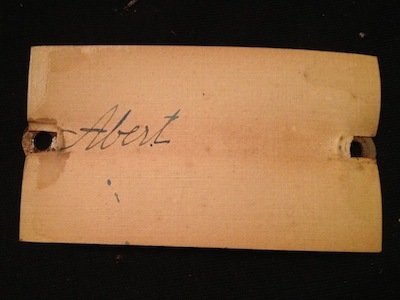 And there is a name on the back!!! 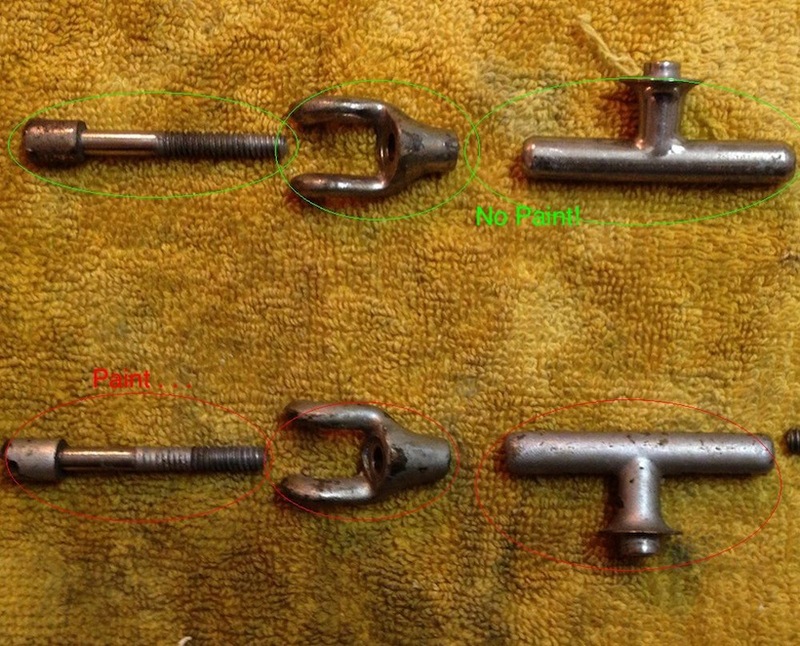 The hardware has been painted but it's not that hard to remove. And the good news is that after getting the paint off of a few pieces, the original nickel plating is about 80% intact and should polish up reasonably well. No need to re-plate anything which is a relief. And I may well be the only person on the planet who has a matching replacement claw for the one missing original. 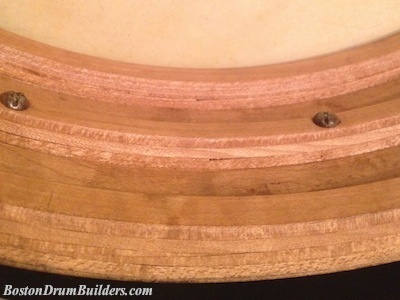 I have two extra replicas left from another Stromberg drum I had restored a few years ago.